FORMER STUDENT -- This HUGE Rainbow Trout was taken using his 5x tippet floating one of Ron's secret nymphs. 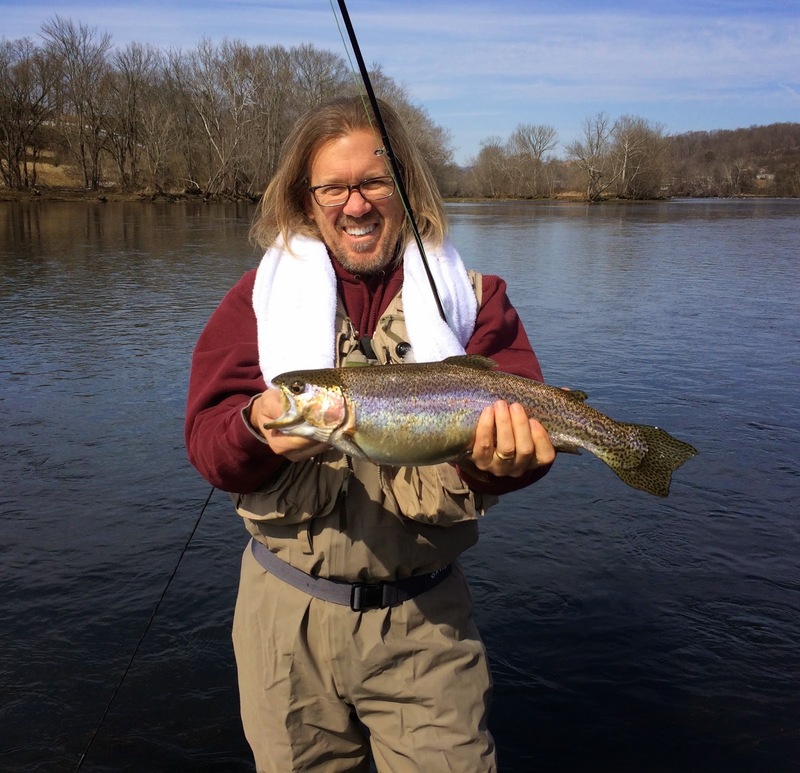 On the Holston with Derrick Douthat enjoying the warm day - Many fish were released including this one. Way to go Ron!!! !